The Maghreb is an important and interesting place. 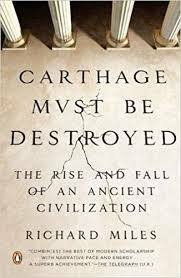 In the history of Western civilization, the tension between Carthage, the ancient port city based out of modern-day Tunisia, and Rome, is one of the more dramatic and tragic rivalries that has resonances down through the ages. Read Adrian Goldsworthy’s chapter on the Battle of Cannae in The Punic Wars for what I’m alluding to (and of course there was Cato the Younger’s dramatic remonstrations). Later Roman Africa, which really encompassed northern Morocco, coastal Algeria, and Tunisia and Tripolitania, became a major social and economic pillar of the Imperium. Not only did men such as the emperor Septimius Severus and St. Augustine have roots in the region, but these provinces were a major economic bulwark for the Western Empire in its last century. The wealthy Senators of the 4th and 5th century were often absentee landlords of vast estates in North Africa. The fall of these provinces to the Vandals and Alans in the 430s began the transformation of the Western Empire based in Rome into a more regional player, rather than a true hegemon (perhaps an analogy here can be made to the loss of Anatolia by the Byzantines in the 11th century). Another important aspect of North Africa is that it is the westernmost extension of the region possibly settled by Near Eastern farmers in Africa. The native Afro-Asiatic Berber languages seem to have been dominant in the region despite the influence and prestige of Punic and Latin in the cities when Muslim Arabs conquered the region in the late 7th century. 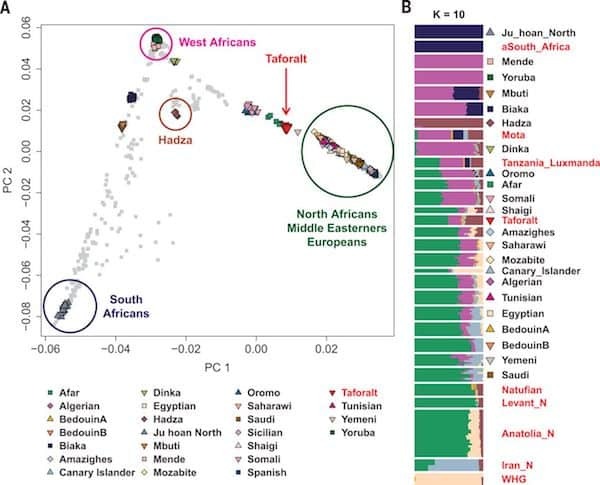 The genetic-demographic characteristics of the region are relevant to attempts to understand the origins of the Afro-Asiatic languages more generally since Berber is part of the clade with the Semitic languages. A preprint and a paper utilizing ancient DNA have shed a great deal of light on these questions recently. The paper is in Science, Pleistocene North African genomes link Near Eastern and sub-Saharan African human populations. The preprint is Ancient genomes from North Africa evidence prehistoric migrations to the Maghreb from both the Levant and Europe. They are in broad agreement, though they cover somewhat different periods. They retrieved some genotypes from a site in northern Morocco, Taforalt, which dates to ~15,000 years before the present. This is a Pleistocene site, before the rise of agriculture. 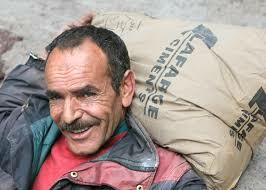 The Taforalt individuals are about 65% Eurasian in affinity, and 35% Sub-Saharan African. This confirms that the Eurasian back-migration to northern Africa predates the Holocene, just as many archaeologists and geneticists have reported earlier. The samples from the preprint date to a later time. IAM in the samples dates to 7,200 years before the present, and KEB to ~5,000 years before the present. It seems pretty clear that the IAM samples in the preprint exhibit continuity with the Taforalt samples. Though it is not too emphasized in the preprint the lower K’s seem to strongly suggest that the IAM samples have Sub-Saharan African ancestry, just like the Taforalt samples which are nearly 8,000 years older. In the KEB samples, the fraction drops, probably diluted in part by ancestry related to what we elsewhere term “Early European Farmer” (EEF), related to the Anatolian farming expansion. Both the Taforalt and IAM samples, in particular, seem to exhibit strong affinities to Natufian/Levantine peoples. Additionally, many of these samples carry Y chromosome haplogroup E1b, just like some of the Natufians. These results indicate that the Natufian-North African populations were exchanging genes or one cline rather deep in the Pleistocene. Though various methods have suggested that there is a lot of recent Sub-Saharan African admixture, dating to the Arab period, in North Africa, these results suggest that much of it is far older. The Mozabites, as an isolated Berber group, reflect this tendency. Though some individuals have inflated African ancestry due to recent admixture, much of it is older and evener. And yet the Mozabites seem to have less Sub-Saharan African ancestry on average than the IAM sample. There aren’t enough data points to make a strong inference about the temporal transect, but these few results imply a decline in Sub-Saharan ancestral component after the Pleistocene with further farming migration, and then a rise again with the trans-Saharan slave trade during the Muslim period. Another issue, highlighted in the preprint, is likely heterogeneity within the Maghreb in ancestry (lowland populations in modern North Africa tend to have more Sub-Saharan ancestry due to where slaves were settled). In the Science paper the authors make an attempt to adduce the origin of the Sub-Saharan contribution to the Taforalt individuals. The result is that there is no modern or ancient proxy that totally fits the bill. These individuals have affinities to many Sub-Saharan African populations. The Sub-Saharan component is likely heterogeneous, but attempts to model European genetic variation during the Ice Age ran into trouble that divergence from modern populations was quite great. Until we get more ancient DNA there probably won’t be too much more clarity. On the issue of the Eurasian ancestry, it’s clearly quite like the Natufians. But curiously the authors find that the Neanderthal ancestry in these samples is greater than that found in early Holocene Iran samples. From this, the authors conclude that they may have had a lower fraction of “Basal Eurasian” (BEu) than those populations further to the east. But already 15,000 years ago BEu populations were mixed with more generic West Eurasians to generate the back-migration to Africa. If BEu diverged from other Eurasians >50,000 years ago, then it may have merged back into the “Out-of-Africa” populations around or before the Last Glacial Maximum, ~20,000 years ago. Finally, the authors looked at some pigmentation genes. Curiously the Taforalt and IAM individuals did not carry the derived variants for pigmentation found in many West and South Eurasians, but the KEB did. This confirms results from Europe, and population genomic inference in modern samples, that selection for derived pigmentation variants is relatively recent in the Holocene. I do want to add that one possibility about the Sub-Saharan ancestry in the Taforalt, and probably all modern North Africans to a lesser extent, is that it is ancient and local. We now know proto-modern humans were present in the region >300,000 years ago. Northwest Africa may have been part of the multi-regional metapopulation of H. sapiens, as opposed to the Eurasian biogeographic zone that it is often placed, before a post-LGM back migration of Eurasians. This was an extreme understanding of the dynamics of post-Roman Europe. It was, and has been, succeeded by another extreme model: that the ethnic change in the post-Roman world was more illusion than substance, a manner of shifting nomenclature, than lineage. For example, I have commonly read in this literature that the Germanic tribes which crystallized as “federates” to the Romans, or on occasion as antagonists (or vassals to hostile powers such as the Huns) were ad hoc collections of mercenaries who created an identity de novo. In some cases it is posited that masses of Romans simply assimilated to the identity of a small cadre of warriors whose demographic impact was trivial. This is the scenario that is posited for the transformation of Celtic Britain into Germanic England. But let’s shift away from that extreme case, and look at another one: the 5th and early 6th century kingdom of the Vandals in Norh Africa. The Vandals were a German tribe with a rather unsavory reputation (perhaps undeserved, but it is what it is). Originally after breaking into the Roman Empire they were junior partners in Spain to a confederation of Iranian tribes, the Alans. But in a series of conflicts the Spanish Alans were reduced to a shadow of their former selves by Romans or Roman federates (e.g., Visigoths), and they allowed themselves to be assimilated into the Vandal power structure. When the Vandals moved into North Africa, they took the Alans with them. And just as the monarchs of England were monarchs of Scotland distinctly, in the 17th century, so the king of the Vandals was separately a king of the Alans. What does this have to do with genetics? Easy. A few years ago the historian Peter Heather came out with a book, Empires and Barbarians, where he attempted to resurrect the idea of a folk wandering. Instead of the idea of post-Roman Europe being dominated by the rapid emergence of ethnic identities from a small platoon of warriors, he posits that there were general transfers of the freeborn caste of whole Germanic tribes across Northern Europe. The women and children moved with the men. Heather’s thesis is more modest than that of Gildas. He does not suggest there was total, or even wholesale, replacement. Rather, the Franks, Visigoths, Anglo-Saxons, etc., were not rapid social constructions on a chaotic cultural landscape, but peoples which were organic developments out of a broader Germanic cultural milieu who were transplanted in toto across the post-Roman world. The kludge of a dual monarchy in the case of the king of the Vandals and Alans does not make much sense if ethnic identity was so fluid as to be purely instrumental in a proximate sense. Rather, even in extremis the Alans insisted upon retaining their identity as a people in the face of the more practical option of total assimilation into the Vandal horde. If ethnic identities are purely ephemeral labels given to political coalitions of mercenaries this behavior makes no sense. On the other hand if these identities carry with them the weight of history, of cultural memory, then these actions and baroque compromises are rendered understandable. The Vandal kingdom of North Africa in some ways is probably the most least plausible case for a folk wandering, in that the wandering was quite extensive, and the Vandal kingdom seems to have been the least culturally robust its long term impact (suggesting perhaps a superficiality of their hegemony). And I have read scholarly literature which does argue that the concept of “Vandal” and “Alan” were simply constructs, which post-Roman elites easily took upon when the circumstances suited them. There is something to the idea that individuals can acculturate, but I think what the idea of radical social constructionism in post-Roman Europe misses is that you need a culture to assimilate to, and that culture can only exist in the first place due to a critical mass. Could a small number of German and Iranian warriors, without any women or other elements of their freeborn population replicate their tribal culture over thousands of miles? I think not. Single elements of culture are replicable, but whole cultural systems often exhibit more integrity and contingency than is obvious from the outside. To explore the possibility of Germanic ancestry in North Africa I decided to use the Henn et al. data set. I merged it with the Utah white sample from the HapMap. I then had 188,000 markers. My goal was to find runs where Southern and Northern Europeans were distinct. Below are two sets of runs where Northern and Southern Europeans were distinct. The first are supervised, and the second unsupervised. I don’t really see any good evidence of the impact of specifically a German element in this. The Vandals seem to fail the test of long term demographic impact in these samples. To really explore this issue I’d have to look at the ancestry at the chromosomal level, and look for matching haplotypes and segments identical-by-descent. Perhaps I will in the future.